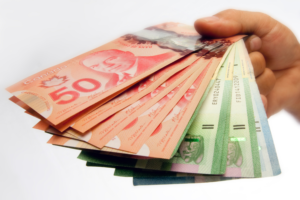 Workplace injuries can cost our society around $128B in losses in a given year. This amount equals to 25¢ of every dollar in pre-taxed corporate profits. A health and safety manager is responsible for ensuring that safety is an essential component of an organization. (Maine Department of Labor, 2013) Reducing injury in the workplace is imperative, as the people within the company are the vital elements that help steer the organization’s future. The money that is spent on these avoidable costs could be invested into other aspects of the organization: i.e. – enhancing the development of both the business and the people of the company. An example of where to invest would be: providing cost-effective personal protective equipment to prevent worker injuries. Personal protective equipment could include proper custom ear molding devices to protect hearing-loss, eyewear to prevent eye injury, headwear to protect your head, etc. A lack of safety can lead to a loss of productivity, efficiency and time, in the long-run. When an organization tries to find methods to cut costs (including bypassing a properly outlined and managed safety program), the assumption is that this will save money and time; thereby increasing profits. This type of action creates the opposite effect in the long run, as these workplace environments can be deemed unsafe and undesirable to work in. A decrease in productivity may occur as a consequence of injured employees taking time off from work. This can be a detriment to any company and needs to be avoided. When a working environment is at its peak morale, employees are motivated to work hard and be safe in their roles. This provides the company with an opportunity to invest into other aspects of their business when people are productive and safe. Engaging the workforce in health and safety practices; having a transparent and open health and safety program, and always wanting to improve the health and safety performance inside a company, provides a great return for any organization. Creating a strong health and safety culture demonstrates that employees are highly valued. More than $40 billion are paid each year by employers and their insurers in worker’s compensation benefits; or nearly $500 per covered employee. (American Society of Safety Engineers. 2002) There is an initial investment when creating a safety program, but it will pay off in the long run. A company may experience high monetary losses and workforce labor losses without proper guidelines. Safety is a major factor that should never be overlooked or ignored. Recognizing the value of a comprehensive health and safety program will ultimately save the organization money. What you should know about protecting your hearing this summer. Now that summer is just around the corner, it is important to know that there is more than just the sun to protect oneself from. Summer is filled with several outings and adventures where you may be exposed to loud noises. We don’t often think about the impact some activities can have on our hearing, so here are few to look out for this summer. Many of us are eager to hit the road during warmer months. During road trips, keep the stereo at a moderate volume, and don’t use music to drown out background noise. Opt for noise canceling earphones, instead. If you are a rider and say “motorcycle noise”, most people think of loud exhaust pipes. Savvy riders know there’s a much greater enemy — wind. 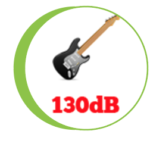 Exposure to sound louder than 95 decibels (dB) can cause permanent hearing damage. 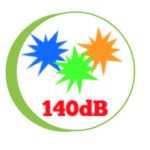 Street riders on quiet bikes can expect wind noise to exceed 110 dB (even inside a good helmet); racers can expect 115 dB. Fifteen minutes of 110 dB a day, five days a week (can you say commute?) can cause up to a 30-percent hearing loss within a year. Your options: never ride faster than you can walk, use motorcycle personal ear plugs, or face a future with one of those ear trumpets glued to the side of your head. Be smart when you celebrate July 1st or the 4th of July festivities. Leave the fireworks to the professionals. And when watching the show, stay a safe distance away—where you can enjoy the colors and lights but not expose yourself and your family to loud noises. To protect your hearing, make sure you’re wearing earplugs and that they’re securely in place before the show begins. Also be sure to keep them in for the entire show. 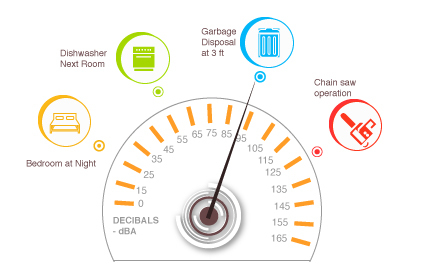 Most of all, you should limit the length of time you spend in a noisy environment. When you do participate in noisy activities, alternate them with periods of quiet. And remember to use ear protection. When listening to smartphones and other electronics, use them at a low volume. It is important to limit your use of headphones and ear buds. Remember, it’s not just the volume that matters. It is also the exposure or duration of time spent listening. Taking a flight? Going on vacation? Air travelers often complain about ear discomfort. When the plane is taking off or landing, yawn, swallow or chew gum to unplug your ears. If these tips aren’t effective, pinch your nostrils shut, inhale a mouthful of air, and direct the air back to your nose, as if you’re trying to gently blow, to equalize the pressure in your ears. 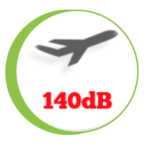 Vented customized hearing protection devices can also help with the ear discomfort when the plane gets noisy. These are just a few activities to look out for and to remember to think twice about protecting your hearing this summer. To learn more about custom hearing protection and dB Blockers™, contact us today. From all of us at ProtectEar, have a safe and protected summer.